Finally the social event you’ve been waiting for!! 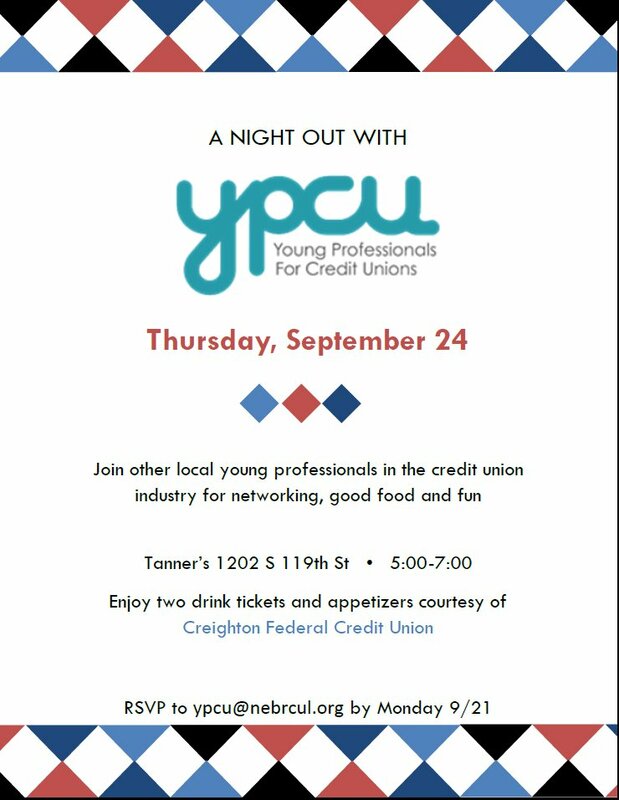 Join other local young credit union professionals for networking, good food and fun on Thursday, September 24th at Tanner’s Bar and Grill (1202 S 119th ST, Omaha) from 5 – 7 pm. Bring your co-workers and relax after a hard days work. Enjoy a couple drinks and appetizers sponsored by Creighton Federal Credit Union. Please RSVP to ypcu@nebrcul.org by Monday, September 21st. Looking forward to seeing you there!